Everyone makes mistakes. Some people make them all (like me). When it comes to smoking a pipe there really isn’t much to it, but you would be surprised what some people do. I’m not talking about making a strange Frankenstein tobacco blend and adding ground up coffee to see what it tastes like. Everyone is different and to each his own. I’m taking about things that will ruin the entire pipe smoke experience for you. From burning out your beloved Billiard to being left high and dry when a favorite tobacco is suddenly as rare as a set of Jarts. You may not agree with all of these, we couldn’t even agree amongst ourselves, but whether they fall under the category of blunder or not, the list is certainly a good guide to follow, especially if you’re new to pipe smoking. When you’re starting out and you don’t know if you are even going to like smoking a pipe, buying an inexpensive pipe, like a Missouri Meerschaum is a great plan. Buying cheap tobacco is not. Nothing will deter someone from continuing than horrible tobacco. The days of being able to stop by the gas station and pick up some pipe tobacco are just about over, thankfully. But that doesn’t mean you won’t accidentally grab a pouch of tobacco that has sat on someone’s shelf for the last fourteen years. If you have a local Tobacconist, drop in and let them know you are new and get pointed in the right direction. Ask them where you should start and buy some good tobacco. The internet is also a good place to get recommendations. Pick out one or two blends that people usually agree are good blends for beginners. If you’re past that new smoker phase and you are getting serious, upgrade. 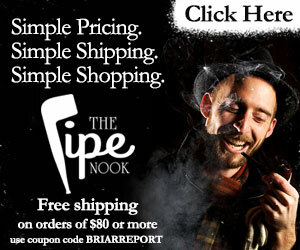 While you should always have Corn Cob pipes on hand? 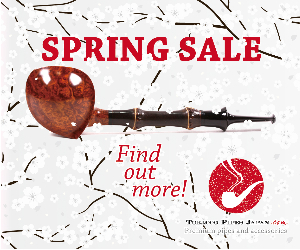 Now is the time to get yourself at least one really nice pipe. Figure out what your budget is and get yourself something nice. There are so many good craftsman out there that you can pick out a great pipe that will last you the rest of your life. There are also established manufacturers that have been in business for a long time and their track record is proof that they know what they are doing. You don’t need a whole rack of them but limiting yourself to cheap pipes is a mistake. A good pipe doesn’t have to cost a fortune but it can take your enjoyment to much higher levels. 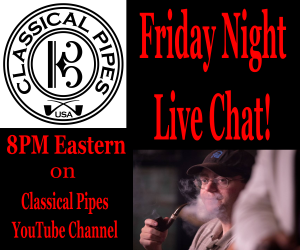 For the veteran, having high quality pipes is the pinnacle of the hobby. By the time you have the experience under your belt you know exactly what you like and can even use that wisdom to have a commissioned piece made. If you can afford it, pinching pennies on a pipe is a mistake. If you don’t take the time to prepare your tobacco correctly you’re doing yourself a big disservice. You should know just by feel if your pipe tobacco is going to burn well. If it’s too wet, let it sit. If it’s too dry there are ways to rehydrate it. What a waste of good tobacco when you overlook such a basic principle. You can usually make sure you don’t have problems by storing it properly. Jar it up if you have to and don’t put more in a tobacco pouch than you will smoke in a few days. Even people who take great care of their tobacco still have a half used tin laying around somewhere that is being neglected. Pipe tobacco is expensive and it would be such a shame to not take care if it and let it go to waste. Probably the biggest blunder a person new to pipe smoking makes is not packing their pipe correctly. There’s a bit of a knack to it, but it’s easily mastered. Keep in mind there are several methods to pack your pipe, all which can easily be found online. Find one that works for you and don’t neglect the process. A pipe not packed correctly will never smoke right. When someone asks a general question on the internet for advice on smoking a pipe there will always be at least one person that says to smoke slow. Sip the pipe. It is the tendency for people to puff away like a freight train. While it can be fun, it is terrible for your pipe. If the pipe feels hot, you’re smoking too fast. Remember, shallow and slow. You are not smashing the ash down. You are manipulating the ember to come into contact with unburned tobacco. Since the fire is above the tobacco the ember must move down the bowl to keep it burning. Simple in theory but if you take the tamper and smash down on it you are snuffing it out like putting out a cheap cigar. If it won’t stay lit you probably packed it wrong. Don’t force it, finesse it. The days of going into the Brick & Mortar and choosing between a dozen blends is gone. Everyone has access to hundreds of blends from all over the world. Not only that, but it’s easy to find reviews on almost any of them with only a few taps on the computer. You can explore more thing you may like without wasting time and money shotgunning all the blends. Even if you’re happy with what’s in your normal rotation it’s a good thing to step out every so often and see what’s out there. Tobacco swaps at your pipe club or from friends over the internet is an excellent way to try something new. This doesn’t just apply to tobacco but to pipes as well. Take a look at all the new pipe makers out there and spend some time checking out their work. Be open to different shapes and sizes. So often trying something you might not have given a second look at turns out to be one of your favorite pipes. If you have 50 half smoked tins and you are browsing through Tobacco Reviews looking for something else, you may have a problem. Not every blend is going to be a winner for you but neither will they all be dogs. If you can’t at least zero in on a few blends you like you might be one of those people that just doesn’t like tobacco. You might like pipe smoking but would rather it tasted like candy. Buying every blend under the sun is not going to fix that. There’s nothing wrong with wanting to explore new things, but if you’re constantly unhappy with what you have it would be a good idea to step back and rethink your strategy. Don’t waste money. No where is this more pronounced than in buying new pipes. You love your new pipe and you haven’t even built up any cake in it yet and you’re dreaming of the next one. Nothing wrong with wanting and getting a new pipe, but make sure you take the time to enjoy the ones you already have. It’s like a woman that can’t find the right guy. Always complaining and never giving anyone a real chance. Never happy, destined to be alone. This never was much of a concern up until the last twenty years or so, and lately it’s been front and center. You can’t know the future of not only government regulations but with what’s to come of your favorite Tobacconist. Even tobacco farmers and/or the weather might effect the availability of certain tobaccos. If you really like something, I mean really like it, put some away. You don’t have to stock up for the end of the world like some kind of apocalypse-doomsday pipe tobacco Prepper, but it would be wise to have some on the shelf just in case. Supporting your local Tobacconist or sticking with a reputable online supplier goes a long way when you need some help. These places are a gold mine of useful information and a resource that should not be overlooked. Have you seen all the online videos on cleaning your pipes? They’re great but you know what I do? I walk into the local tobacco shop and just hand it to the guy behind the counter. He takes care of it and is happy to do so. In the time it takes me to browse around and smoke a pipe he has my pipe ready to go and it looks brand new. He does that because I’m a good customer. I bought that pipe there and will buy more. If I were to complain about every little thing I highly doubt he would be doing this for me at no cost. In fact, he would probably dread seeing me walk through the door. If you have a serious problem with a Tobacconist and you have given them the chance to resolve it, but they won’t, then by all means express your opinion. But don’t go trashing the guy, especially online where it’s forever, because of something out of their control. Be quick to praise and slow to criticize. Keep your pipe clean. Deep cleaning when it needs it. Not taking a pipe apart while hot. All things that can spoil your pipe. Your enjoyment of the hobby is so much better when you take the time to keep your things nice. Most pipes should last well past your lifetime if treated correctly. Why not be a good steward of that pipe and treat it right? Not only that, do you want to be the person who’s spouse or kids look at the disgusting mess of overflowing ash trays, pile of stinky pipes and dirty pipe cleaners and think they are related to a slob? Have a little self respect. Hope you got at least a little useful information out of this. You can keep it in mind and when someone asks you about giving them some advice, you may remember some of these and even pass the article along. Do you agree with out list? If not, you can always write to the editor and let us know.